Cooking can take a ton of time. If you love to cook, this isn't a big deal, but with work, family, and life's many other to-do's, time is precious and limited. I was reading an article the other day in Women's Health Magazine about prepping to cut down on the time it takes to get veggies ready to cook. I knew some of these helpful hints, but learned a few as well. 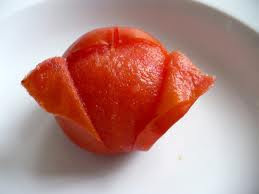 To get the skin off a fresh tomato, cut an X into the skin and drop the tomato into boiling water for 30 seconds or when the skin begins to peel, then drop it into ice water. The skin comes right off. My mother actually does this with her home grown tomatoes when she freezes them. She always has so many growing that she freezes some for the colder months of the year. Corn on the Cob - Nuke them in the microwave unhusked for about 6-8 minutes. 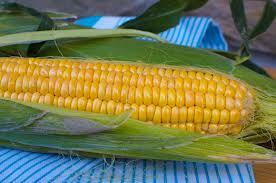 Cut off the bottom half inch and slip the husk off the cob. The kernels will be cooked and you won't have any silks left on. I have many memories as a child of husking the corn in the summer and those silks drove me crazy. Why didn’t I hear about this earlier? Cutting Onions - I am a crier (even on commercials), but I also cry when cutting onions. My knife skills could be killer, but no matter what, eye make up will be running down my face. When I saw this, I had to try it. If running the onions under cold water somewhat worked when cutting onions, then this is an even better idea. It totally works! 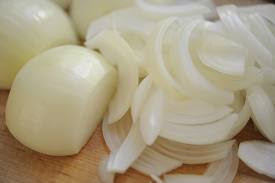 To avoid crying, freeze the onion for 10 minutes. This will prevent the release of the enzymes that irritate your eyes. 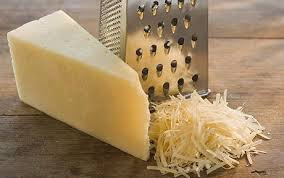 Grating Cheese - If you bought a block of cheese and are hand grating it, put it in the freezer for about 10-15 minutes prior. It will shread easier and won't melt in your hand as you are gripping it to grate. There are so many other helpful prep hints to save time. Do you have any to share?